WHAT DOES THE FUTURE HOLD FOR SOUNDEXCHANGE? The music business has a lot to be thankful for from SoundExchange. Since being founded in 2003, the Washington-based U.S. CMO has paid out more than $4bn in performance royalties to artists and rights holders. Last year alone, it distributed $802.6m to labels and artists, making up over 38% of the world’s total $2.09bn neighbouring rights economy. Around half of this money landed directly in the pockets of performers, without going through labels and incurring the normal recoupment charges. On top of all that, SoundExchange, which only collects from digital platforms, has the lowest cost-to-income ratio of any collective management organization (CMO) in the world, currently sitting at just 4.6% for 2015. No wonder artists love it. The company also has a sterling reputation for efficiency: more than 90% of its collections are paid out within 45 days of receipt, and it remains the only recordings CMO on the planet to pay out royalties monthly. Yet SoundExchange is certainly not without its challenges. Last year saw a cut in its year-on-year distribution growth rate to 4%. In the two years prior, this figure had stood at 28% and 31% respectively. In the first half of this year, according to the RIAA, SoundExchange’s distribution was up by just 4% once again. It’s important to remember that these numbers are still pointing in the right direction, but they represent a significant slowdown in the company’s fiscal ascent. As SoundExchange President and CEO Michael Huppe (pictured) points out, much of this is due to basic economic forces: no company can grow by double (or even treble) figure points forever. Other factors are also at work, however. For one thing, the bulk of SoundExchange’s revenue comes from Pandora, whose monthly active user growth has slumped – and has been stuck at around 78 million users this year. Pandora consumers, it appears, are being tempted away by the on-demand delights of Apple Music, Spotify and Tidal, although Pandora recently unveiled a plan it believes will help it retain consumers. There’s another issue: the labels who have relied so heavily on SoundExchange for performance royalties from the likes of Pandora and Sirius XM in recent years are starting to strike their own direct deals. That’s especially the case with Pandora, whose free tier has traditionally paid out on a statutory basis – money collected by SoundExchange – but recently got an overhaul, making it more interactive… and requiring fresh licensing deals with labels. All three majors have now struck direct deals with Pandora (and its new paid-for tiers). Warner has publicly stated its intent to use SoundExchange to pay artists (on the ad-supported tier), while Sony and Universal are also believed to have committed to paying certain artist royalties from Pandora through SoundExchange. “SoundExchange will work with labels to administer artists’ royalties for the ad-supported tier of their direct deals with Pandora,” Huppe tells MBW. “Our proven track record in royalty administration and data processing for a variety of licenses, both statutory and direct, coupled with our reputation as a trusted partner to artists and rights holders, make us the clear choice to distribute artist royalties. SoundExchange says it is adapting to an age where direct digital performance licenses are more commonplace in the U.S.
As a trusted provider of back office services, it has already inked more than a dozen agreements to be an admin partner to labels, increasing its chances of processing payments from the likes of Spotify and Apple Music for the industry’s big boys. “We have really set the standard for transparency and efficiency in the music industry so that a lot of the industry – and quite frankly a lot of people outside the industry – are looking at SoundExchange as the way things should be done when there are so many examples out there of the way things shouldn’t be done,” says Huppe. So… can SoundExchange continue to grow? And what will it look like in five years’ time? WHAT’S BEEN THE KEY BEHIND SOUNDEXCHANGE’S RAPID GROWTH IN RECENT YEARS? SoundExchange over the years has really become a standard for transparency and efficiency in the music industry, and our growth has been extraordinary. We’re digital natives. We’re purpose-built to do exactly what we’re doing in this space. Because of that, we’re getting money out quicker and more efficiently than anybody out there. Our overhead/commission rate is the lowest in the world and we pay out on every performance. We don’t leave any performances on the cutting room floor. Our growth is attributable to a lot of things. The biggest and most obvious reason is people switching to access from ownership. And we’ve had some rate increases that have helped as well. A lot of the industry is looking to SoundExchange as the way things should operate in terms of collective management and administration. AS YOU SAY, YOU’RE DIGITAL NATIVES. EVEN SO, TECHNOLOGY MOVES FAST. HOW HAS YOUR SERVICE IMPROVED TO KEEP UP? We were born in the digital age. We don’t have the legacy of analog processes and systems that we have to totally change. That’s a real benefit. We now have a newly-designed system that is basically state-of-the-art, with benefits being rolled out bit-by-bit. It’s almost all in the cloud so it’s scalable and built on flexible open-source platforms. It’s also content-agnostic – it has the ability to manage many different rights not just sound recordings. Some of the new features our customers will see include SoundExchange Direct, which gives our members the ability to log into a portal and track their payments, mine their data and look for trends. We’ve also developed something called Licensee Direct, which allows our licensees to upload data and payment information in an automated way. We also have a department dedicated to resolving ownership conflicts, something that plagues our industry. The metadata that drives our industry is far from perfect. U.S. terrestrial radio still doesn’t pay recorded rights holders – something you’re challenging with the proposed Fair Play, Fair Pay Act. How optimistic are you that the situation will change? It is a travesty that we have a $17.5 billion broadcast radio industry built on the backs of the recording artists and labels, but [broadcasters] don’t pay them a penny. For a country like the U.S., which prides itself on protection of intellectual property and creative rights, it really is inexcusable that this is a gap in our law. I’m confident that we’ll eventually get this right. It’s something we’ve been fighting for over decades, and in the past few years it’s gotten more momentum than ever before. We have very strong leadership on Capitol Hill. We have bi-partisan champions pushing it. We have a chairman of the relevant committee that has witnessed 20 hearings on the issue. We have more artists and members of the general public aware of this issue than ever before. HOW CAN YOU BATTLE THE SPENDING/LOBBYING POWER OF YOUR OPPONENTS? We have significant opposition in the broadcasters, there’s no doubt about that. They have a presence in every congressional district and they have a long history. But our strength is gaining because it’s not only our industry that’s behind this effort. We have political support on both sides of the aisle. We have everyone from unions to conservative public interest entities like American taxpayer groups behind us. Even on the broadcaster side, we’re starting to see some parties recognize that the right thing to do is pay performers. THE GROWTH IN SOUNDEXCHANGE HAS BEEN HUGE, BUT IT’S SLOWING DOWN. WHAT ARE THE KEY FACTORS OF THAT SLOWDOWN? Any organisation or industry can only keep double-digit growth up for so long. Even the high single-digit growth we may show this year is still a pretty good run-rate when you consider where we’ve come from. We are still growing; and that’s a good accomplishment, especially when you look at the overall health of the industry. I don’t anticipate the growth will stop, but it will moderate on a percentage basis. The fact of the matter is, people aren’t using just radio to listen to music. What we administer is primarily digital radio and the statutory license. We do, however, administer some other types of direct deals. It’s not surprising to us to see the growth level out a bit. WILL INTERACTIVE STREAMING SERVICES ULTIMATELY KILL NON-INTERACTIVE RADIO? I think non-interactive will always have a place. For a big portion of the population in the U.S. and around the world, they’re looking for a lean-back experience where they have perfectly curated programming served up to them. There’s always going to be a very large place for passive radio listening among consumers. WHAT ABOUT TERRESTRIAL RADIO SPECIFICALLY? The fact of the matter is terrestrial radio still has a gigantic consumer base in the U.S., so I don’t think radio is going away tomorrow. There’s no doubt that there’s a conversion. Consumers are switching from terrestrial radio over to some of these digital formats to enjoy targeted listenership, customised programming, etc. In our case, that is a great thing because [digital webcasters] actually pay performers and labels. WHAT’S THE NATURE OF THESE DIRECT ADMINISTRATION AGREEMENTS YOU MENTION? We’re already administering more than a dozen direct deals [between labels and digital services]. Our platform is managing and distributing royalties for these different licensing configurations in addition to administering the statutory license. The fact is there are direct deals out there, and the systems, technology and data resources we’ve built can offer services to help manage the rights licensed in those agreements. When we are helping to administer a direct deal, all of our benefits still apply – we can pay efficiently, we have very efficient operations, we offer resolution of ownership disputes… those all apply just as much in direct deals as they do in a statutory context. There is also other work we do that is separate and apart from that. The major labels here in the U.S. recently settled some significant lawsuits with Pandora and SiriusXM related to pre-1972 recordings. They have committed to pay the artist share of those settlements through SoundExchange. That’s another example of a service we can provide on the platform we’ve built. 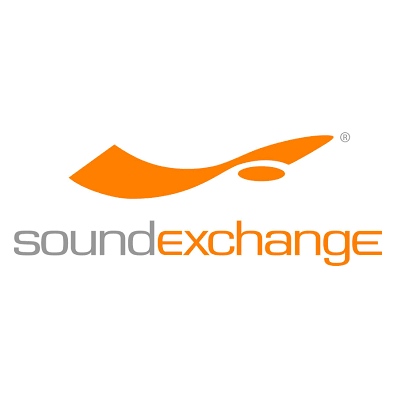 One of the very important philosophies at SoundExchange is direct pay for the artist. When we get $1 from a statutory service, 50% of it goes directly to artists, 45% to the featured artist and 5% to a fund that pays non-featured musicians and vocalists. It’s a very important part of what we do, and it’s why artists take particular notice of SoundExchance and the cheques that we send them. WHAT ARE YOUR AMBITIONS INTERNATIONALLY, OUTSIDE OF YOUR U.S. BASE? We have 45 international performance rights agreements that we administer. National boundaries are breaking down in all other areas of commerce. In the same way they’re becoming less relevant in the music industry. As we move to a digital world where streaming can go anywhere on the planet, it’s of course important to have a global perspective. As part of that, we have this matrix of 45 agreements around the world – and we’re adding more every year – where we can help collect on behalf of our members from other territories, and we obviously use those agreements to help efficiently pay some foreign entities, too. Anyone who’s not global in this economy is making a big mistake. DO YOU HAVE ANY APPETITE TO LAUNCH SOUNDEXCHANGE MORE DIRECTLY IN OTHER MARKETS AND POTENTIALLY CHALLENGE OTHER COLLECTION SOCIETIES? We’re already working with many collection societies around the world, not just through those reciprocal agreements, but through an international [agenda] to build a trading platform that allows for more efficient exchange. We’re doing data exercises with other CMOs. We’re happy to explore anything that makes sense for performers and labels. If there’s an ability for us to provide back office services to others around the world, we’re certainly open to that as well. Whatever makes sense to the industry and the people we pay, we’re willing to consider. It’s kind of undeniable that there are many benefits to globalizing data, and globalizing royalty payments. I’m not suggesting SoundExchange is intending to become the single point of anything in the world, but the more we can all work together and have coordination across borders, the better it is for everybody. WHAT ELSE MARKS YOU OUT, GLOBALLY SPEAKING? About four or five years ago, we started building a centralized database for ISRC codes. We’d been talking about it in the industry for 20 years and we hadn’t built it. That, quite frankly, is something the industry shouldn’t feel proud about. Now [SoundExchange] has the best sound recordings database in the world – sourced from master owners, not from third parties. We have a database of over 30 million sound recordings with over 20 million unique ISRC codes, and earlier this year we opened up those ISRCs [to make them publicly searchable] on our website. That’s another example of a tangible benefit the industry sees from SoundExchange’s work. But there’s an even more important reason I’m raising it. I think it’s a testament to our philosophy: we believe that data like ISRCs is the oil in the engine that makes everything in the music business run a lot better. There are a lot of people out there who, when they have a resource like our database, would hold it close and leverage it for their own gain. We believe that metadata is something that should flow freely. We believe that people in the music industry should succeed or fail in the industry based upon business models, talent and their service, not because they have access to data others do not. PANDORA’S LISTENER BASE IS FLAT-LINING, EVEN THOUGH THEIR LISTENER HOURS KEEP GOING UP. WHAT DO YOU MAKE OF THAT? WHAT ARE YOUR HOPES AND FEARS FOR ITS FUTURE? It’s similar to the answer I gave for SoundExchange itself; when you’ve had the rapid growth they have had, it’s sort of natural that they’re going to flatten out. The thing to think about with Pandora is, as their listener hours increase, are they increasing the revenue per-listener-hour? Are they taking the benefit of scale to become more profitable hour-by-hour? I think if you look at Pandora’s numbers, in fact they are doing that, while offering other creative services to the artist community and even to labels. I think they’re a great product that’s hugely popular in the U.S. and are doing things to make themselves more profitable and offer more services. We’re not in a position of preferring one business model over another – that’s not our job. The most important thing for us is to let the market experiment and offer new and exciting products. But at the base of all of it, they need to make sure they appropriately pay the creators who drive the entire business. YOU WERE DISAPPOINTED WITH THE WEBCASTING RATES SECURED LAST YEAR IN THE U.S.: $0.0017 FOR NON-SUBSCRIPTION AND $0.0022 FOR SUBSCRIPTION. IS IT GAME OVER ON TRYING TO GET THOSE RATES UP? I wouldn’t say so. We have appealed. And look, we have all appropriate respect for the judges’ attempt to do their job and find the right rate. Artists and labels will be paid more as a result of the new rate than they would have made, overall, under the old rate. That being said, we think the judges got it wrong in terms of trying to accurately reflect the true market value of [music]. That’s why we’re appealing, but we’re moving forward. The rates are what they are. We believe we have strong arguments as to why the numbers could be a little different, and we’ll have to see how it plays out in court. WHAT ABOUT YOU PERSONALLY: WHERE DO YOU SEE YOURSELF MOVING OVER THE NEXT FEW YEARS? IS THERE A TIME YOU HAVE IN MIND TO MOVE ON FROM SOUNDEXCHANGE? SoundExchange has accomplished quite a bit, not because of me, but because of the awesome team we have assembled here. What we’ve built here is something I view as a shared resource and infrastructure for the industry, and there are many ways that the industry can benefit from our innovation. The bulk of what we do is the statutory radio services, but there are other services we can offer. I am gratified by what we’ve accomplished, but I remain eager to continue growing the company and seeing how we can help transform the industry. The industry is in desperate need of a better overall business approach so everything works more efficiently and all of the technical and data problems fade into the background. That will allow labels and artists to focus on the reason they got into the business in the first place – making music. I’d like to keep trying to change and improve the industry. I have no plans to go anywhere just yet!